Polly and her new friends at Penhallow Hall wake Li-Mei, the Chinese porcelain dog from the Red Drawing Room. 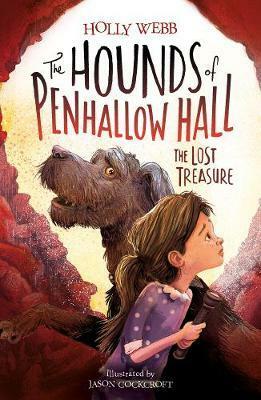 The little Pekingese tells them of her adventures with Sarah Penhallow - how they investigated rumours of smugglers and sighted a ghostly Green Lady down at the cove. Together, the friends set off to solve the mystery once and for all, and discover a secret tunnel. Here they come across a broken statue of a dog buried beneath a rockfall. Could their discovery have anything to do with the disappearance of Li-Mei’s canine companion?